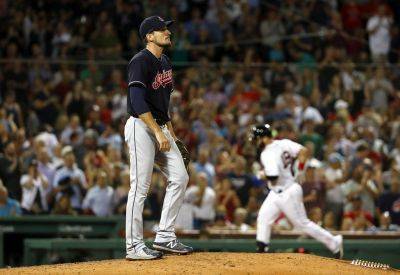 BOSTON — The Boston Red Sox didn’t let a three-game skid dampen things. After all, nobody has been able to keep the AL East leaders down for longer than that this season. Cora joked before the game about calls he received regarding the team’s losing streak. Indians: Placed OF Rajai Davis on the 10-day disabled list with a non-life-threatening medical condition. He’s expected to have outpatient surgery Monday and return when rosters are expended on Sept. 1. … Francona said Leonys Martin will sit out the rest of the season. The outfielder had a life-threatening bacterial infection that entered his bloodstream and created toxins that damaged his internal organs, compromising their function. Red Sox: Cora said C Christian Vazquez (DL, fractured right pinkie) might catch LHP Eduardo Rodriguez’s next rehab start on Monday at Double-A Portland.